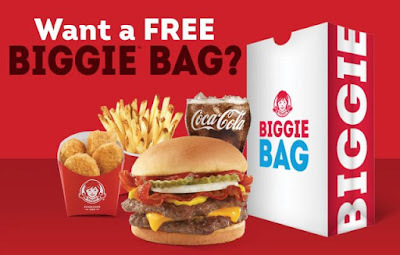 Wendy's introduces the new $5 Biggie Bag as their latest value meal and are giving it away for free when you place a Wendy's delivery order via DoorDash. The $5 Biggie Bag features the new Bacon Double Stack, a 4-piece order of chicken nuggets, small fries, and a small fountain drink. It takes up the spot that was previously occupied by the $5 Giant JBC Meal Deal. The new, limited-time Bacon Double Stack features two beef patties, applewood-smoked bacon, a slice of American cheese, ketchup, mustard, pickle, and onion on a toasted bun. 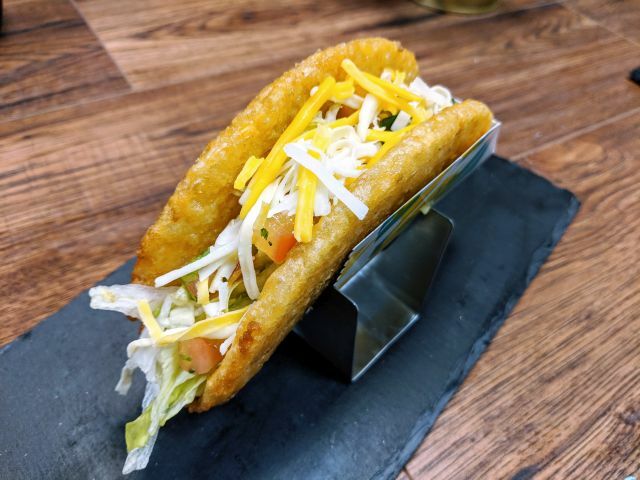 As you may have guessed by the name, it's the same as a Double Stack but with the addition of bacon. To get the free $5 Biggie Bag, you'll need to enter the code "FREEBIGGIEBAG" when ordering. The offer is good through March 24, 2019, while supplies last. You can also get free delivery when you spend $10 or more (no code required). Wendy's last used the term "Biggie" to refer to their large drink and fry sizes (similar to how McDonald's offered the Super size). The chain plans to keep the $5 Biggie Bag around permanently but will rotate the featured burger/sandwich.